One of the many sicknesses currently afflicting the Muslim world is amnesia regarding its past. While competing civilizations explore, analyze and dissect their own as well as other’s histories in an effort find answers to the current problems, Muslims just seem to drift forward, unaware of their illustrious ancestors and confused about their own present roles. It is not surprising then that it took a farangi (Englishman) to bring back from oblivion the memories of one of the most renowned family of ulama (scholars) of the Indian subcontinent. 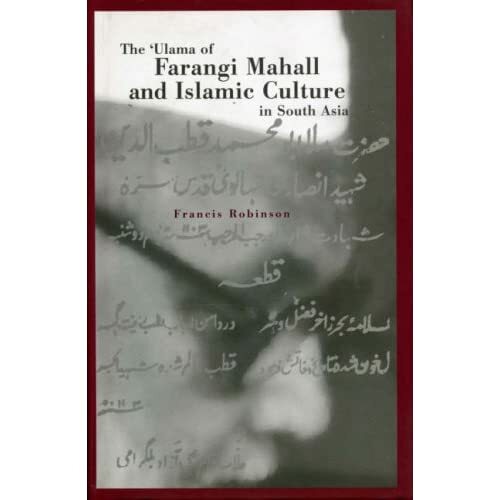 In The Ulama of Farangi Mahall and Islamic Culture in South Asia, Prof. Francis Robinson of the University of London offers a captivating account of the rise and fall of the Farangi Mahalli Ulama, who have contributed much to Islamic scholarship in the past three centuries. The Farangi Mahallis trace their descent to the eleventh century scholar and mystic Abd Allah Ansari of Herat, who in turn was a descendant of Ayyub Ansari (RAA), a close companion and host of the Prophet Muhammad (SAAW). Mullah Hafiz was the first person in the family to attain prominence in India. Emperor Akbar gave him a madad-I-ma’ash, or revenue free grant, in 1559. In 1692, the Mulla’s great grandson, Qutb al-Din was murdered during a land squabble in which he had no part. Consequently, the Mughal Emperor Aurangzeb granted his family the sequestered property of a European merchant. The family moved into the house in 1695 and hence the name Farangi Mahall. Ironically, the rapid decline of Mughal power after the death of Aurangzeb also marked the rise of the illustrious scholarship of the Farangi Mahalli family. During this time most of the members of the family were engaged in teaching and soon the Farangi Mahall became an important center of learning in India, attracting students from as far away as Arabia and China. “Members of the family simply taught those who came to them in the porches and front rooms of their homes,” writes Robinson. And this continued until 1905 when they finally formed the formal institution of madrasa-yi’Aliya Nizamiyya. “The learned and holy men of Farangi Mahall,” writes Robinson, “were the consolidators in India of the rationalist tradition in Islamic scholarship derived from Iran.” Members of the family soon produced massive amounts of scholarly work on theology, rational sciences, mysticism, jurisprudence and biographical sketches. The last great stalwart of the family, Maulana Abdul Bari, wrote 111 books. The greatest contribution of this family was their formulation of the Dars-I Nizamiyya syllabus, which still forms the basis for much of the modern day curriculum in the madrassas (schools) of the Indian sub-continent. This model syllabus was based “on the rationalist traditions of scholarship derived from Iran”. They laid special emphasis on the ma’qulat (the rational sciences) in contrast to the Deobandi school of thought, which put a greater stress on manqulat (revealed sciences). The teaching method used in Dars-I Nizamiyya was to teach the two most difficult books in each subject on the grounds that once they had been mastered the rest would present few problems. In this way, diligent students could easily finish their educations by the time they reached 16 or 17 years of age. This statement formed the basis of the personal conduct of the Farangi Mahallis. They avoided the frivolities of the world and dedicated themselves to learning and teaching for sake of Allah (SWT) alone. The overzealousness of some Farangi Mahallis also brought them into frequent disputes with other scholars. This sometimes turned ugly as in the case of the publishing in the Farangi Mahalli journal al-Nizamiyya of personal attacks against Maulana Ashraf Ali Thanvi of the Deobandi school. The fortunes of the family began to decline after the death of Maulana Abdul Bari in 1926. The madrasa-yi’Aliya Nizamiyya – referred to by the great scholar Shibli Nu’mani as the “Cambridge of India” – closed its doors forever in 1960. The Madrassa’s old building, which was once a bastion of Islamic learning, still stands in a dark and dingy lane in the city of Lucknow, neglected and forgotten. The Ulama of Farangi Mahall and Islamic Culture in South Asia has its flaws and sometimes Robinson seems to exaggerate regarding the influence of Farangi Mahall, which he sees everywhere. He also downplays the role of the Deobandis in the reformation and consolidation of Islamic learning. But the book’s pluses far outweigh the negatives. Robinson should be commended for this remarkable book, which should prove to be a seminal work on the history of Islamic learning in South Asia.